The business professionals from around the world travel to Los Angeles to settle and increase the volume of their business. The most important factor which is crucial for the people while they are traveling to LA is transportation. An easy mode of transportation makes your trip hassle-free as well as a lot of easier. During your travel to LA, there are many factors which are responsible for making your trip hassle-free. Limo rentals are famous for outstanding car rentals throughout Los Angeles. It is very stressful and complicated to hire public transport especially when you are planning to go on a business trip. A business trip needs to be well organized and balanced. With the right selection of transportation services, it will make your trip successful. 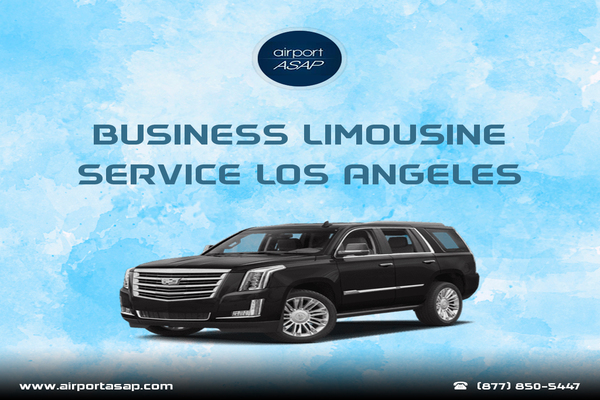 We at Airport ASAP provides you with the best business limousines Service at LA. Here are some reasons why business owners should hire a limousine to reach their destination. No mode of transportation is more reliable then Limo rentals in LA. The lavish interiors of the limo will give the best ride of your life. We make sure that you get the best ride. The sense of luxury can only be felt once you sit in the limo. A business trip in LA is going to be the best trip of your life. We have maintained the highest standards as compared to the other modes of transportation in LA. We offer the best deal in the market with attractive discounts. Corporate discounts help you to minimize your travel expenses. A small discount attracts a lot of corporate clients to hire limo services in LA. The limo rentals are available round the clock. No matter what is the place limo rentals are always ready to give the best and luxurious ride around LA. The client can book our limo from any part of LA. Nothing is more important than the comfort of your client. This is the perfect time to impress your client with perfect hospitality. If you pick up a client from the airport, the agenda of the meeting can be discussed in the car. Our cars are well equipped with all the luxurious amenities which can help you during the meeting.